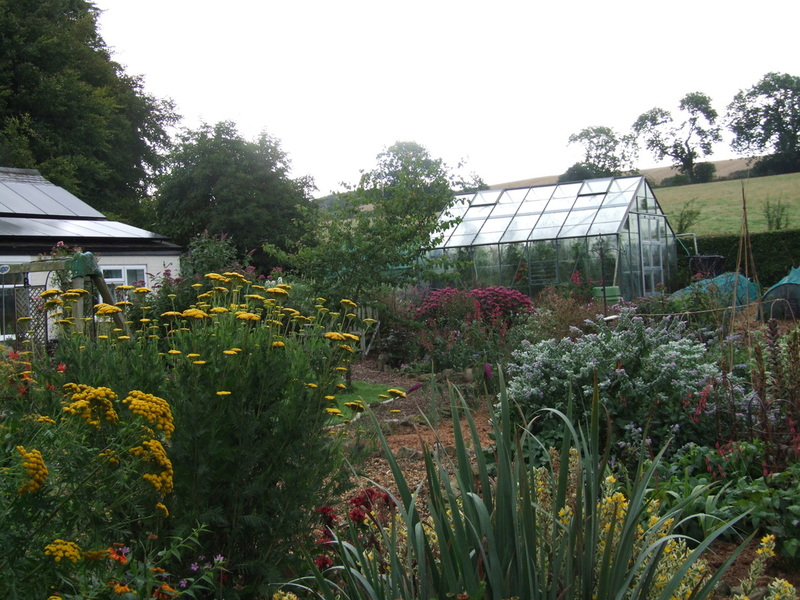 Over the last 3 years we have been re-developing our garden. When we first moved here, over 14 years ago, the garden was laid out to mainly lawn and island beds. 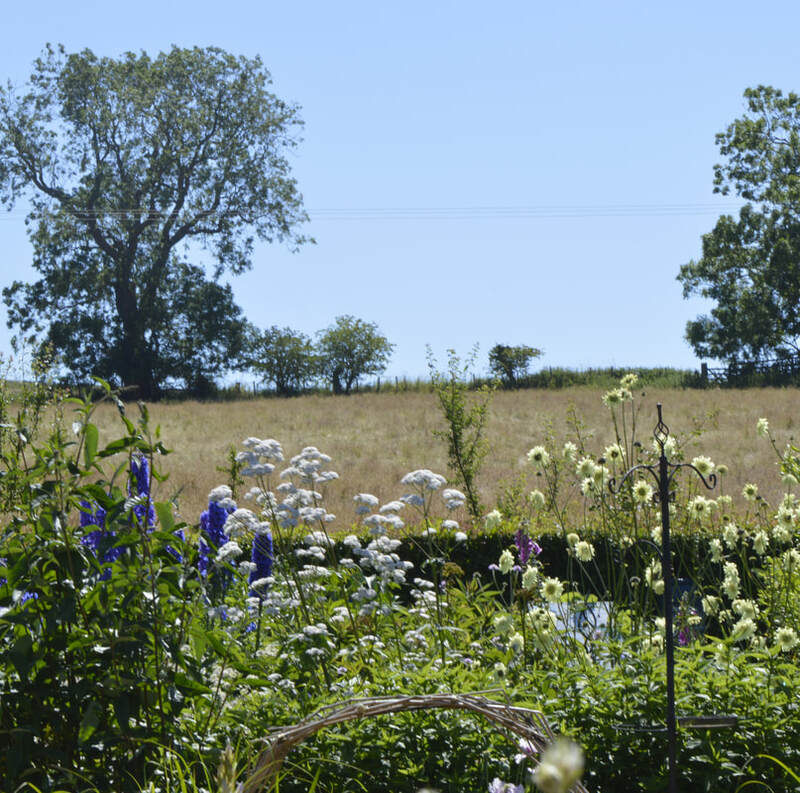 Lovely though it was, mowing the lawn is time consuming and with the desire for more planting it was decided that the lawn should be dramatically reduced in size. Over a peroiod of about 4 months, barley straw was used to clear the large expanse of lawn occupying most of the garden see 'Barley Straw Mulch' . 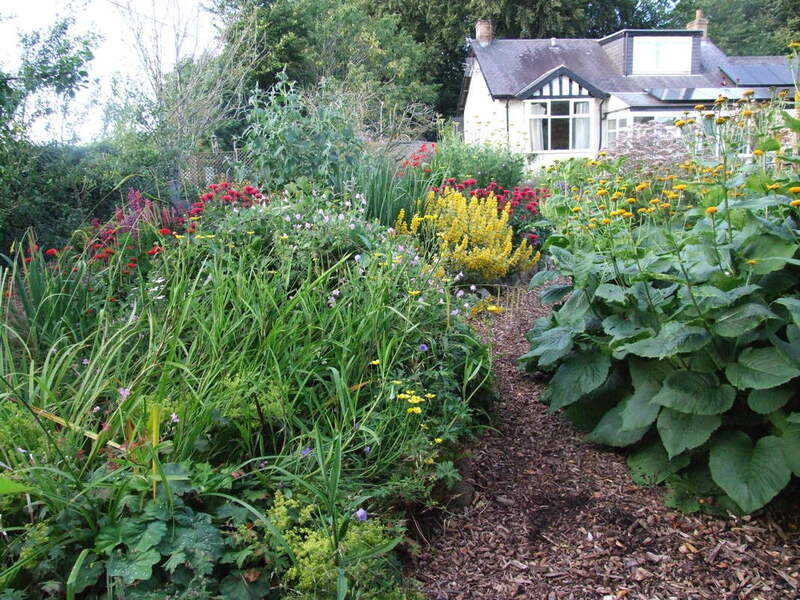 After clearing the lawn, the beds were laid out, edged with local stone and planted up. 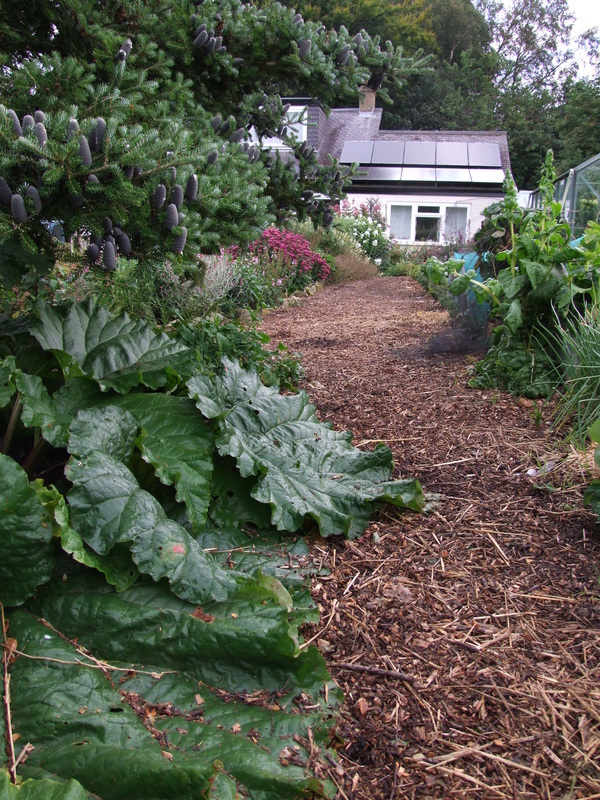 Mulch is applied everywhere - the pathways with woodchip and the beds and borders mainly with spent hops from a local brewery. 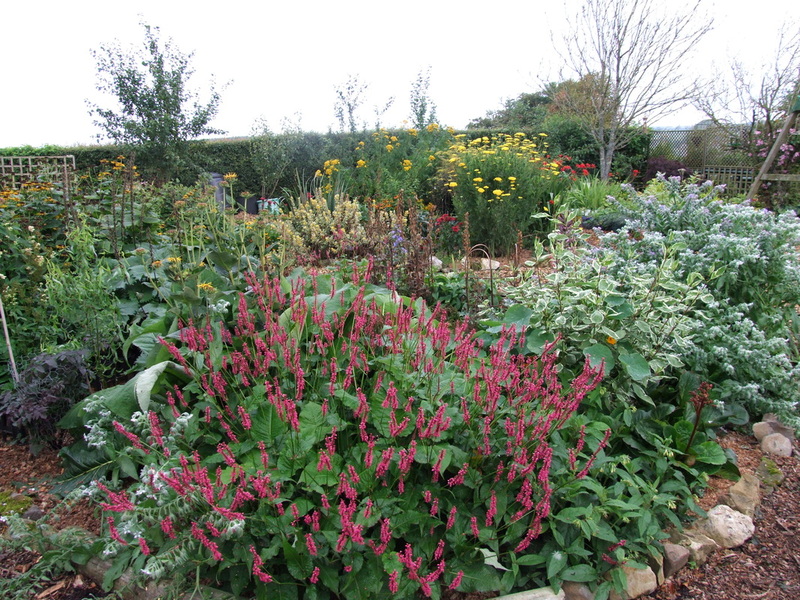 Two years later and the garden is etablishing well. 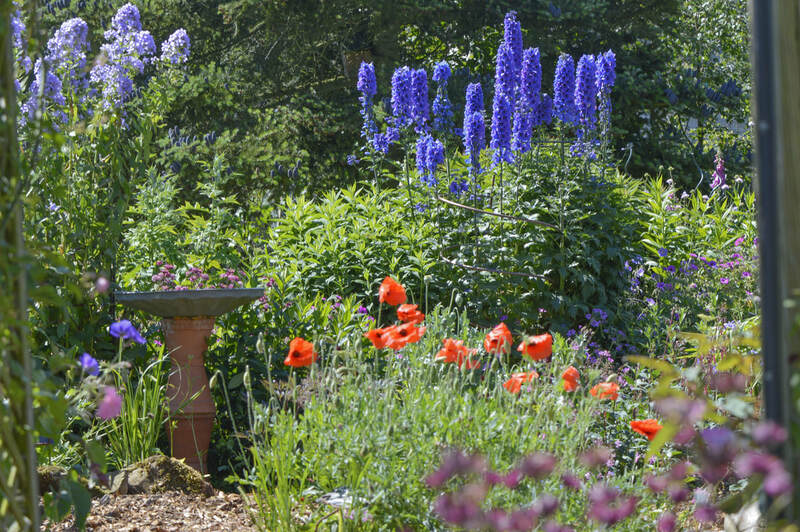 The garden will be opening for the 'National Garden Scheme' on July 15th 2018. 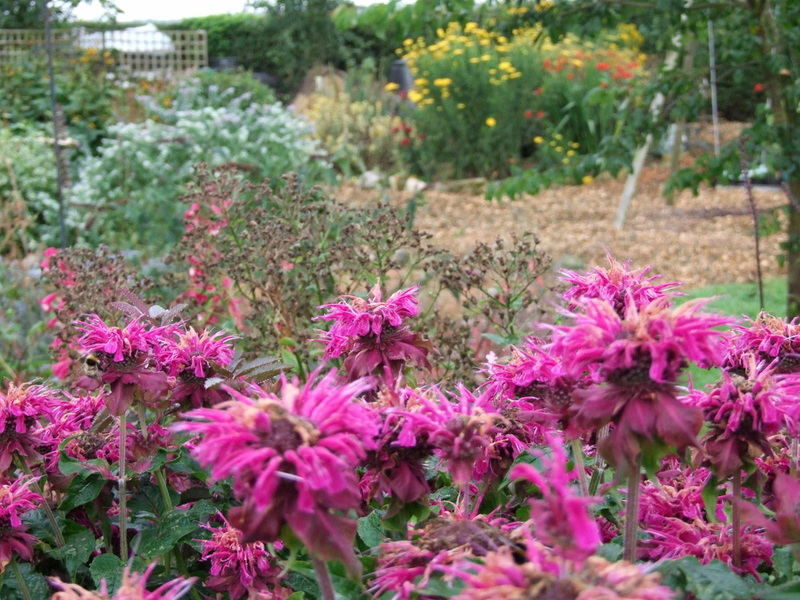 View across the garden over the monarda 'Mohawk' in the 'B & B' (bee & butterfly) border. This has formed a large drift from the the 3 small clumps planted 2 years ago. It is obviously very happy! 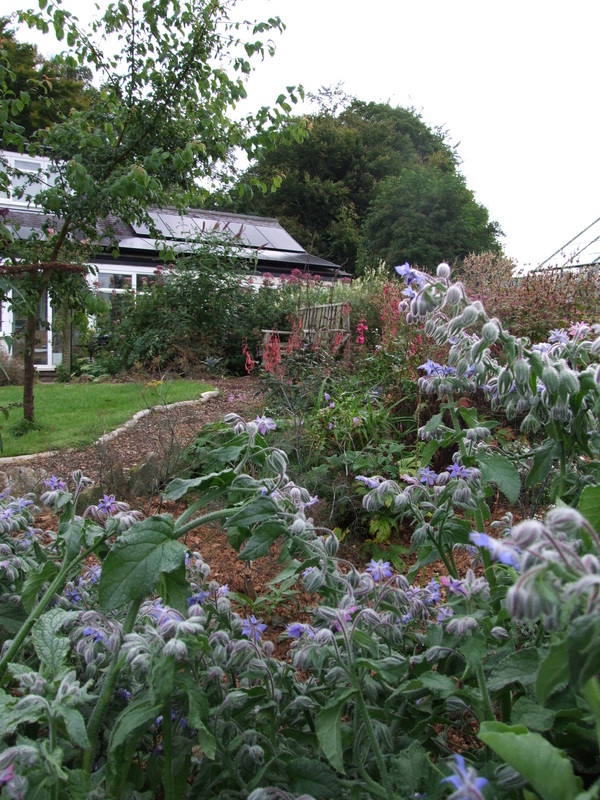 Borage thrives in the 'B & B' border. The bench, situated at a high spot in the garden, gives great views down the garden and roling hills of the countryside beyond. 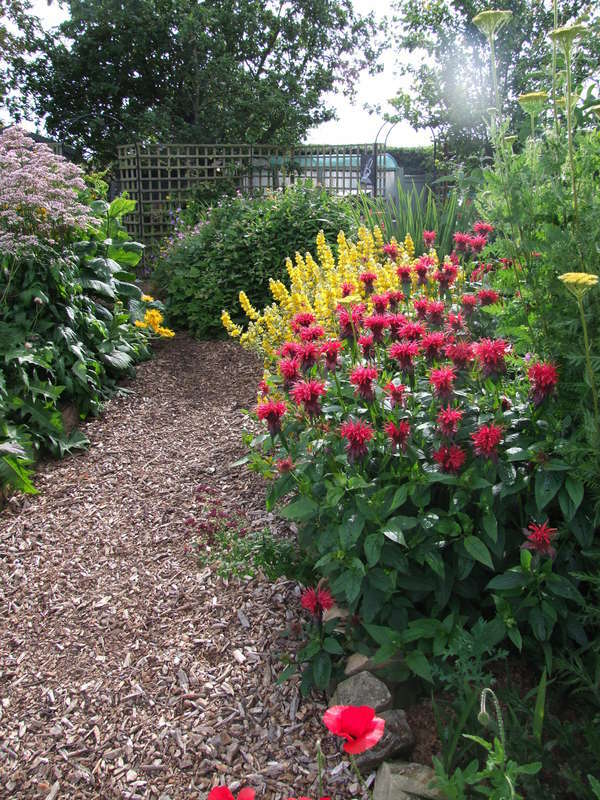 In the damp garden, where surface rainwater from the surrounding fields seems to gravite towrads, moisture loving perennials and shrubs have quickly established themselves. 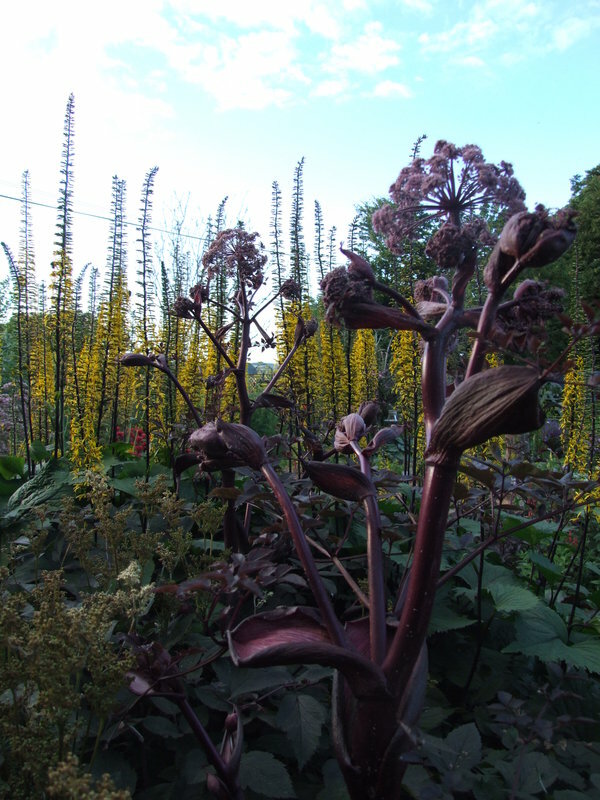 Perennials include ligularia 'The Rocket', inula magnificum, iris pseudocurus, persicaria amplexicaulis and angelica gigas. 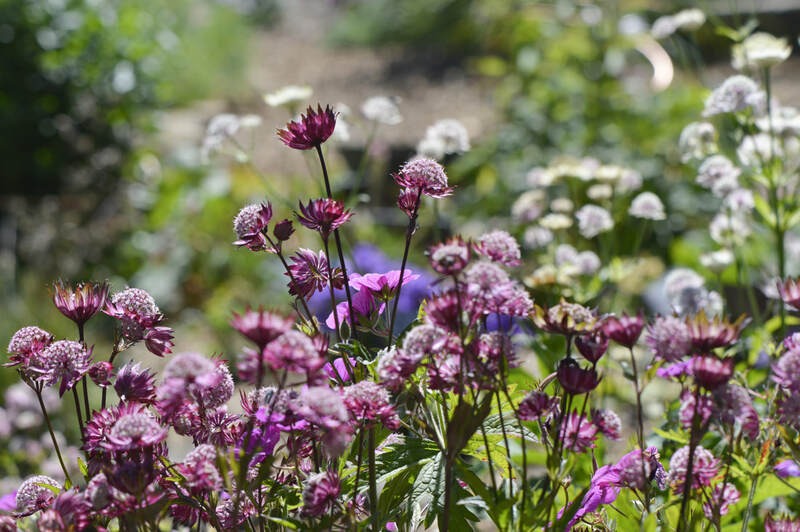 Wildflowers such as tansy and borage are great attractors of pollinators amongst the ornamentals. A hot sunny day early July 2018.